A report in this week’s Northwich Guardian highlights that TATA has applied for a variation to the planning consent passed in 2012, which means they will be allowed to increase the power output of the planned incinerator from 60MW to 90MW. The story in the Northwich Guardian simply reproduces the TATA issues press statements and copies from the Lostock development website lostockpower.co.uk. What it misses is that this is a complete nonsense. 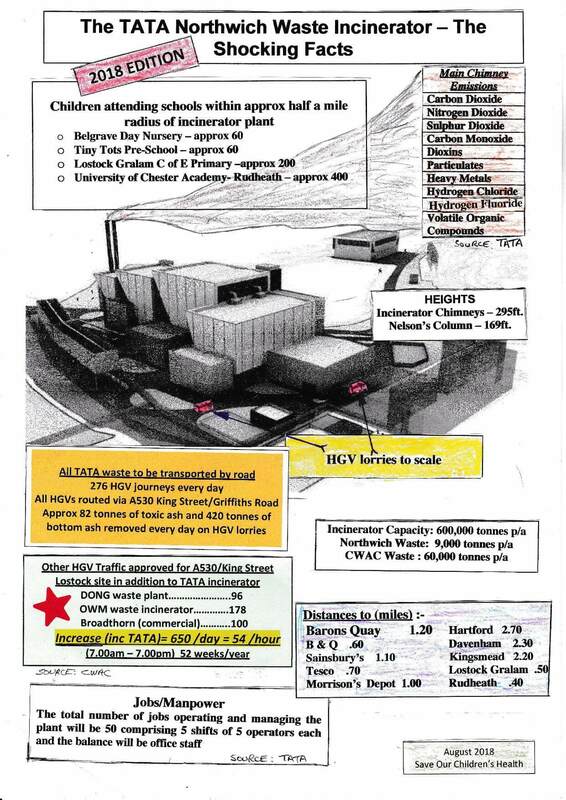 Firstly, the original application documents and subsequently agreed permissions in 2012, make it clear that they want to use the power for the TATA plant at Lostock, so this has nothing to do with consistently powering 125,000 homes and everything to do with getting cheap power for their plant. Secondly, it specifically states that they will be burning 600,000 tonnes of non-recyclable waste. Read that again carefully. Yes, it does say ‘changes to the fuel composition’. What exactly are these changes? What, other than recyclable materials such as plastics, paper and wood could possibly create sufficient energy to add 50% to the output of the plant? The dirty secret being hidden here is that to achieve that output, they will have to burn recyclable materials. All the hard work achieved by Northwich residents, making the borough one of the highest recycling areas in the country, is a complete waste. Because no matter how hard we try, no matter how long we spend sorting and separating, it seems that it’s all going up in smoke. In 2016/17 Cheshire West and Cheshire performance measure against “Increase levels of recycling, the proportion of waste sent for reuse, recycling or composting” was 58%. Their target this year is 59.2%. So, almost 60% of all household waste in our area is being recycled. Yet TATA is now about to build an incinerator that would undoubtedly be burning some of this material to hit their new output capacity. What’s more, the impact on local people will be immense. That’s 68,120 lorries up and down King Street during weekdays and 6,864 on Saturdays. So, just under 75,000 lorry movements a year up and down a 1 kilometre stretch of King Street. 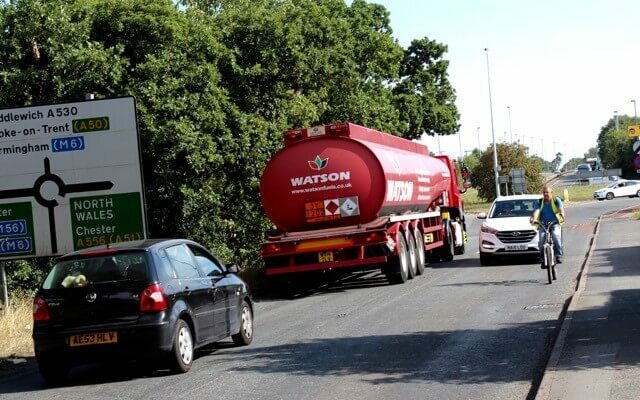 But this is ON TOP of the existing lorry movements for OWM and DONG meaning that anyone living within the vicinity of this plant is likely to encounter over 100,000 lorry movements every year. 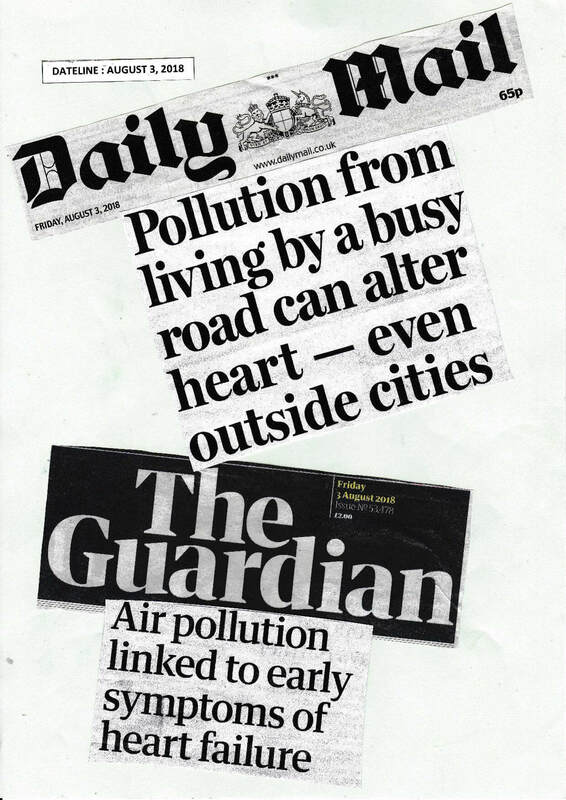 Diesel emissions can and will adversely affect health. Yet we are now to be subjected to 100,000 lorry movements a year over a 1k stretch or road and are being asked to believe that this will be ‘acceptable’. Just look at the photograph and tell me if you think that this road has room for a lorry every 30 seconds trundling up and down? They are expecting workers to cycle to work! Make no mistake, if this plant goes ahead it will be the death of Northwich. 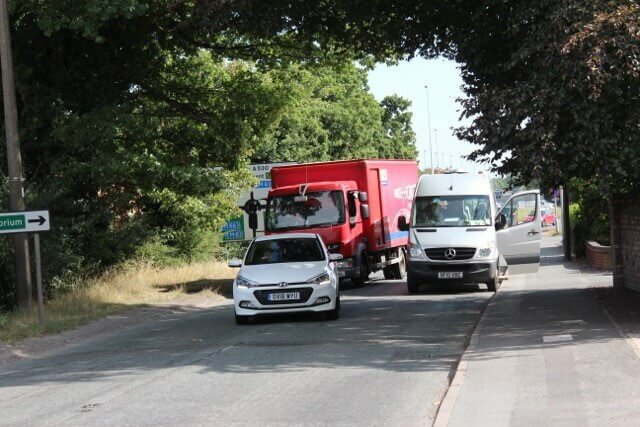 ‘This is nightmare news for Northwich residents who are fed up and frightened about the apparent determination of several business corporations to turn our town into what would be the largest rubbish dump in Europe. The forecast waste tonnages from TATA, OWM and DONG adding up to nearly one million tonnes prove it beyond doubt and nobody in authority seems to care. Planning permission was granted for the Incinerator in 2012 and since then a lot has changed. Recycling has improved, waste volumes have reduced, diesel vehicles have been accepted as being linked to health problems and we’ve voted for Brexit. And like it or not, the drive for recycling came from the European Waste Framework Directive but that same directive saw Councils threatened with fines if they didn’t improve recycling and has led to an increase in fly tipping and a rush towards incineration. We’ve said it before and it’s worth repeating. Incineration is a 19th century solution to a 21st century problem. Burning doesn’t remove the problem, it just changes it into a different form and pollutes the atmosphere. And despite what you’ve heard, it’s still not too late to do something about this. All the documents from this planning variation are on their website along with details of how to object. All representations should be received no later than 7th September 2018. Unless otherwise indicated, copies of any representations received will be regarded as public documents and will be copied to the Applicant and the relevant local council. Don’t sit idly by and let this happen. If we do nothing then by the start of 2022 we will be welcoming a new addition to Northwich; a massive 600,000 tonne incinerator and 100,000 lorry movements a year.